Are you passionate about your football team…local, national or international? Are you exhausted following another football season of ups and downs? The exhilaration of Leicester City fans is in stark contrast to dark depression of Aston Villa fans. 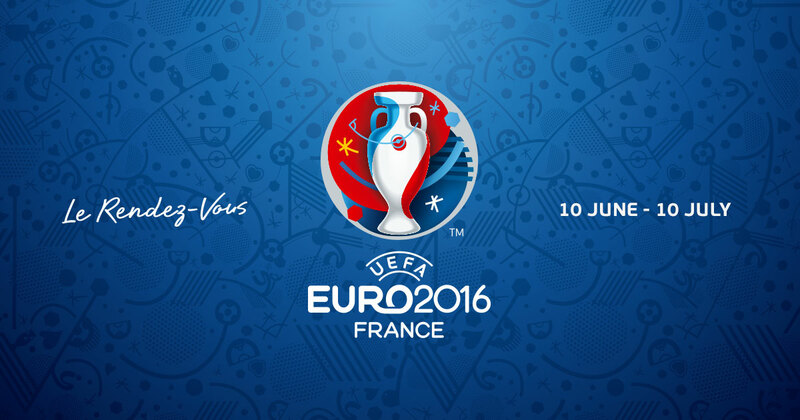 What about Euro 2016? Will England be heroes or villains? How will you show your colours? The 2016 UEFA European Championship, commonly referred to, as UEFA Euro 2016 or simply Euro 2016, will be the 15th edition of the UEFA European Championship, the quadrennial international men's football championship of Europe organized by UEFA. It is scheduled to be held in France from 10th June to 10th July 2016. Spain are the two-time defending champions. For the first time, 24 teams, having been expanded from the 16-team format used since 1996, will contest the European Championship final tournament. Under this new format, the finalists will contest a group stage consisting of six groups of four teams, followed by a knockout stage including three rounds and the final. France was chosen as the host nation on 28 May 2010, after a bidding process in which they beat Italy and Turkey for the right to host the 2016 finals. 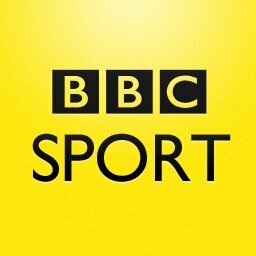 The matches will be played in ten stadiums in ten cities: Bordeaux, Lens, Lille, Lyon, Marseille, Nice, Paris, Saint-Denis, Saint-Étienne, and Toulouse. The England team manager, Roy Hodgson, has announced his 26-man squad, with only a few surprises. He has named Manchester United's 18-year- old striker Marcus Rashford in an initial 26-man squad for Euro 2016. Newcastle United winger Andros Townsend and Arsenal midfielder Jack Wilshere are also called up for the tournament, but Theo Walcott, Phil Jagielka, Jermain Defoe and Mark Noble miss out. How did your team fair in the Premiership, this season…what were the ups and downs? Leicester City were crowned Premier League champions on the 2nd May without kicking a ball after Tottenham failed to beat Chelsea. They will be joined in the Champions League group stage by runners-up Arsenal and third-placed Tottenham. Meanwhile, Manchester City finished fourth, meaning they will be in the Champions League play-off round. Fifth-placed Manchester United have sealed a place in the Europa League group stages. The Europa League place that Manchester City secured by winning the Capital One Cup transfers to the sixth-placed team in the Premier League, meaning Southampton are also assured of a place in the third qualifying round. Seventh-placed West Ham will enter at the third qualifying round, because Manchester united won the FA Cup. Southampton have moved into the group stage. Aston Villa's relegation to the Championship was confirmed on 16th April by a 1-0 defeat at Manchester United. Newcastle United and Norwich City joined them on 11th May after fellow strugglers Sunderland's 3-0 win over Everton. Take a look at our new and exclusive range of personalised letterbox prints! You can now have a picture or image of your choice printed on the front of your letterbox. As standard, currently we supply a Union Jack letterbox, Tartan letterbox, London Underground letterbox and more, see link below. 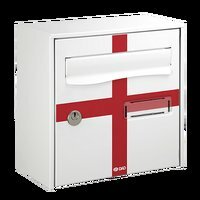 However, perhaps you want your unique company logo, favourite football club, national flag or country crest printed and displayed proudly on the front of your letterbox? 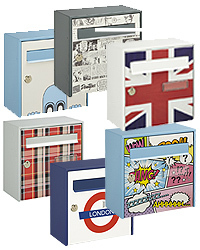 Anything is possible with our bespoke letterbox designs. Or maybe you are a fan of street art prints or require a touch of humour, or require a special message. i.e. "no Junk Mail" or “Beware of the Dog” or “No Soliciting Please”. Show Your Colour! . Postboxshop is the UK specialist for quality and affordable postboxes, mail boxes and metallic boxes. Secure shopping and trusted verisign company. Whether promoted or relegated, whether England, Leicester City FC or Accrington Stanley FC, Postbox Shop can help you to Show Your Colours. Please view our letterboxes for dimensions and features. We conform to British & European Standards (BSEN13724) and are Royal Mail compliant. Contact us if you have an idea you would like to create…we can make it happen. Or, if you have any questions about any of our diverse range of products and services, letterbox or parcel box ranges, please contact our friendly team today.